How we use Slack’s most recent update on interactive messages to massively improve our bot’s interaction design. 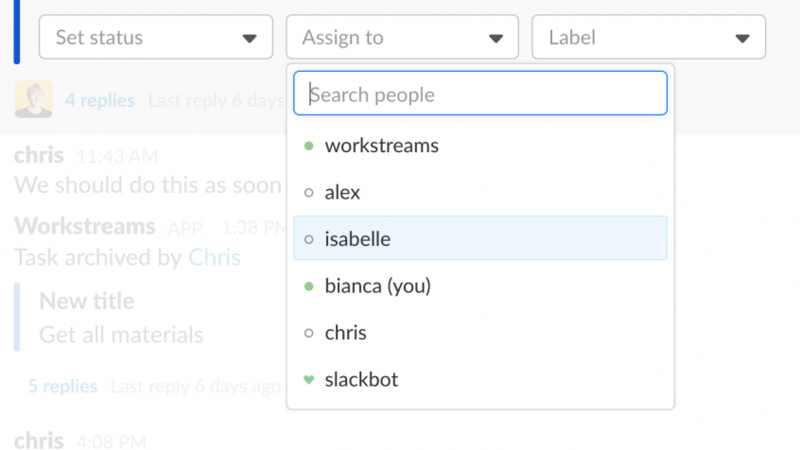 The most recent big update to Slack’s interactive messages was the introduction of message menus. They are like the dropdown menus you know, but on steroids. When we built the Workstreams Slack app, users had to go through a long series of buttons to assign a team member to a task they created. Now message menus allow you to choose an assignee straight away.